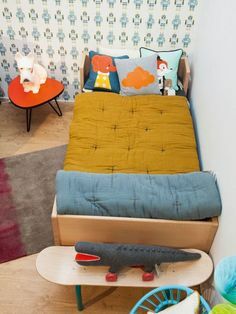 This room tour of Hudson is by Chandre from Styled_by_mama. She is mom to Hudson and a brand representative to some local South African brands on Instagram. Hudson is almost two and it was now time to upgrade his room to a toddler room. She did not bind herself to just one theme, so the room and decor will have a long lifespan as Hudson gets older. The black and white colour scheme is still extremely popular in nurseries and children’s rooms. 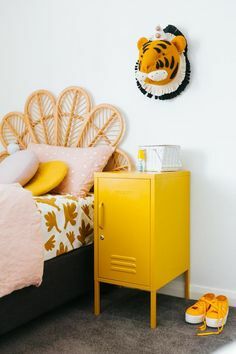 Having a room in a black and white colour scheme has a lot of advantages: A black and white room can help to calm the crazy of all the colourful toys that a child has in a room, it is gender neutral perfect for shared rooms, and it is a good neutral for adding colour later as a child gets bigger. I loved her use of the #LittleME monochrome dangles that she hung from the teepee, it is a creative way of using items intended for babies for longer periods by adding it into the decor of the room. 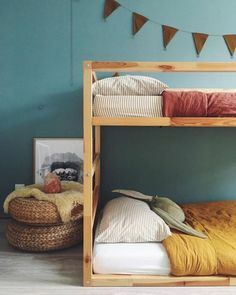 My favourite items in the room is the little house storage shelf and coat rack from Little Legends baby and child.